Have you ever asked yourself ..should I play the lottery? Well, based on the odds, probably not, but then again one can always dream. Everyone loves playing the mega million national lotteries, even though the odds of winning the lottery is close to impossible. So, what if I told you there is a better way to try your luck at becoming a multi-millionaire. One which has better odds and is much more fun. Generally speaking people who like to gamble will not discriminate between betting options and will tend to play on a wide range of games, however if we were to look at the largest winning possibilities out there which ones would come out on top? ​There are various games which offer the chance to win a life changing jackpot of millions of Pounds, Euros or Dollars. The two most popular and affordable options are the national lotteries and the progressive online slot machines. The thrill in both these cases stems from the fact that with just a small wager you can become a millionaire from one day to the next. Both lotteries and progressive jackpots are affordable by the average Joe seeing that the bet amount for slot machines and the ticket price for lotteries are relatively minor, especially when compared with the potential win. What are Progressive Slot Machines? Everybody is familiar with the lottery draws, but how do progressive slots actually work? In simple terms, Progressive Slots are just like normal slot machines, however they include an additional feature; the Jackpot. This feature pays out a massive Jackpot amount when triggered and won. These slots are known as ‘progressive slots’ because the jackpot increases incrementally with every spin of the reels. So, each time someone bets on the slot machine a small percentage of that bet is contributed automatically towards the jackpot fund. Therefore the more players play on the slot game and the higher the number of bets placed, the bigger the jackpot amount gets until someone actually wins it. The Jackpot is then reset to the pre-determined seed amount and the whole process repeats itself until the next mega-win. Some Jackpot Funds are linked to a number of different progressive slot machines, usually developed by the same game provider. This network of progressive slots runs across multiple different casinos and online casino brands. Therefore there are thousands of players who are contributing to the jackpot amount every day. This explains why these progressive online slots have multi-million jackpots. These Slot machines (or Pokies as they are known in Australia) usually carry a highly visible, brightly coloured jackpot meter at the top of the machine which shows the current value of the jackpot and is intended also as a means to attract players to the game. The Jackpot meter shows the jackpot Value increasing every second as players from all over the world play on the machine. Now that we understood the difference between Lotteries and Progressive Jackpots, which of these has the best odds and which one should we really be playing? To answer this question we have to look at the statistical probability of guessing the winning lotto numbers compared to the possibility of hitting the jackpot on Progressive Slots. Fancy Your Odds of Winning the Lottery? Every Lottery or Progressive Slot will have its own specific odds of winning the ultimate prize. So let’s get more specific to find out which games have the best odds. The odds of the major Lottery Games around the world are available from various sources and can easily be obtained. I will mention a few of the most popular lotteries which usually carry multi million Dollar/Euro jackpots. Each ticket purchased on the US Mega Million Lottery has a 1 in 259 million probability of hitting the top prize, while for the US Powerball your chances of winning the lottery are 1 in 292 million. In Europe the Italian Lottery has the worst odds with a 1 in 623 million chance of winning the top prize and becoming a millionaire. On the other hand, the odds of winning the Euromillions lottery is more reasonable at 1 in 117 million. If we change continent and go to Australia we find that the odds of winning the Oz Lotto is 1 in 45 million. So it is clear that between different lotteries the odds can vary considerably however in the best scenario the odds are still extremely improbable. The below video puts these odds into perspective, with the help of .. ehm… bananas! For progressive slots, on the other hand, it is quite difficult to obtain the exact odds of winning the jackpot since these are not readily available on the gaming provider websites. However with most progressive slot machines the chances of winning are around 1 in 10 million or even less. The odds will also depend on the estimated jackpot value of the particular slot game. The higher the expected initial value, the more difficult are the odds of winning the jackpot. So, in general the odds of winning a progressive slots jackpot, even though still high, are much better than the chances of winning the lottery. Apart from this fact, usually a national lottery ticket would cost at least 8 times more than the amount that the minimum bet on a slot spin would be. Therefore, given a set budget, the odds of winning on progressive slots are much better than the odds offered by the various top national lotteries. How Big are the Lotto Jackpots Anyway? We established that the odds of winning on slot machines are much better than the chances of winning the lottery, at least those lotteries with multi-million top prizes. However, it must be noted that the largest National lotteries will usually have higher jackpot amounts than any of the progressive slots available out there. The largest recorded lottery prizes are much more than one person will ever need. We’re not talking millions here but billions. In fact, in January 2016, the world’s largest ever lottery jackpot was recorded when the US Powerball was won at USD1.5Billion. Three winning tickets shared this jackpot. The world record for the largest ever lottery win by a single ticket was registered in May 2013 when a US women was the only person to win the US Powerball lottery jackpot which stood at USD590.5 million. The biggest lottery jackpot in Europe on the other hand came out of the Euromillions Lottery; twice. In October 2014 the winning numbers came up for a jackpot win of €190Million and the same jackpot amount was reached a couple of years earlier in August of 2012. These amounts overshadow the records held for progressive slots jackpots. In fact, in March 2003, a software engineer from Los Angeles hit the largest ever recorded jackpot win on a physical slot machine when he won USD39.7 million while playing the Megabucks slot machine at the Excalibur Hotel Casino in Las Vegas. While this amount is more than enough to retire comfortably and much more, it is still 37 times lower than the largest lottery win on record. 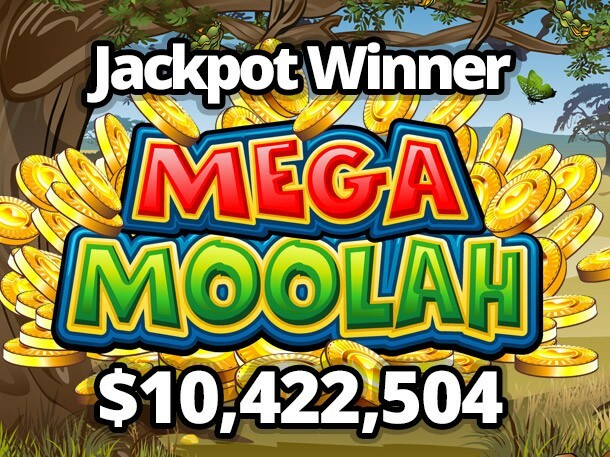 The largest jackpot payout from an online slot machine, according to the Guinness Book of records is €17.8million (USD20million) won by Jon Heywood, from the UK, playing Microgaming’s Mega Moolah on Betway’s Online Casino. This win was registered on the 6th of October 2015. So, the top prizes offered by slot machines are considerably lower than the jackpots wins from national lotteries, however this should not have much bearing on our choice of play for 2 reasons. First of all the aim of winning the jackpot, for most of us anyway, is to get the monetary freedom we often dream of when taking our chances on these games. So once you hit any prize which runs into millions of Dollars or Euros, it should not make much of a difference whether it’s €8 million or €80 million, for example. The average person will still be able to retire and live a very comfortable life in any case. The second point to consider is that when lottery jackpots increase to a considerable amount they are usually won by more than one ticket because of the large number of people playing them. Therefore the jackpot value is split between 2 or more people. In Progressive slots this can never happen. Only one player will win the jackpot each time. So Which Game Should I spend my Money On? Even though progressive jackpots usually offer a much lower top prize than the most popular national lotteries, slot machines do offer the best odds of winning when compared to the odds of winning the lottery. If you’re like me you’re probably still end up taking your chances on both the lottery and slot machines, however I do allocate most of my playing budget to slots given the better odds. At the end of the day I prefer my chances of winning a couple of millions on a progressive slot machine as opposed to the much lower probability of winning hundreds of millions on the lottery. · First of all slots are much more fun to play. They offer entertainment value and an adrenaline rush which is non-existent in lottery draws. What would you prefer; an hour engaged in the marvellous audiovisual experience offered by some of the most advanced slots, or 15 minutes watching someone announce numbers as they come up and comparing them to your lottery ticket? · The online casino world offers a vast range of different multi-million jackpot slots to choose from, compared to the limited number of mega million national lotteries available. · The bet amount per spin on progressive slot machines differs from one slot machine to the next, however generally, one spin on a progressive slot will cost much less than the price of a lottery ticket. In fact, the largest online jackpot was won with just a 25p bet. · Progressive slots can be played as often as you like. 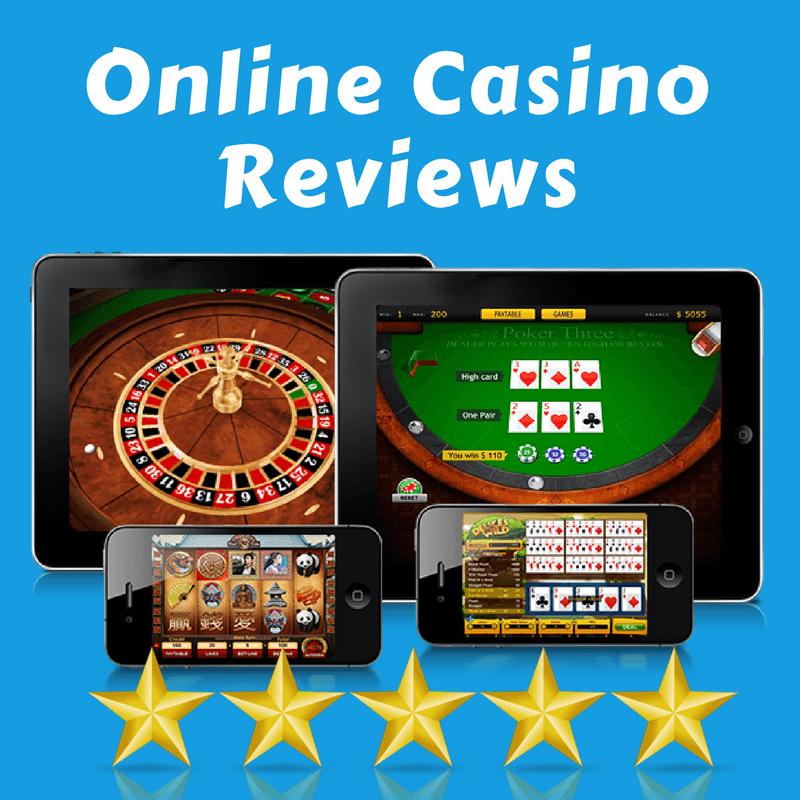 Online casinos are open 24/7. · Apart from the top jackpot prize, progressive slots offer various other minor prizes which are won quite often. In fact with the average ‘Return to Player’ being over 90% on most online slots, your bankroll can keep you playing for quite a while on online slots. · And finally, the Free bonus money offered to players on online casinos is not to be missed. No lottery I know of gives out free tickets. Yet with online casinos, bonus money is a very common promotional offer. They actually give out free bonus money which you can use to bet on slot machines or other games. We just love spinning the slots using the casino’s free money. So now that you have the facts, maybe you’re thinking of trying out one of the many online slot machines, and I don’t blame you. However before venturing into the online casino world I suggest you familiarise yourself with the concept by reading this guide. Playing online slots is not rocket science. It’s as simple as pushing a button, but knowing the basics will help you avoid rookie mistakes and let you enjoy the online slots experience much more. Go ahead and try your hand on one of the many exciting progressive slots available on our list of recommended casinos. Who knows you might end the day as a multi-millionaire!